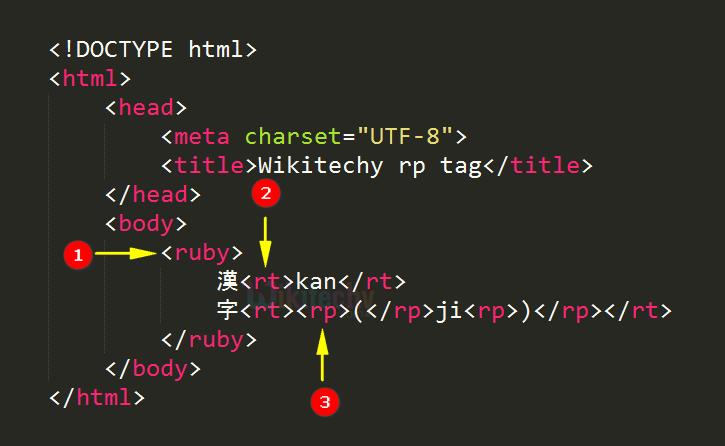 <rp> tag is used to define parenthesis for browsers that do not support ruby annotations which are used in East Asian typography. 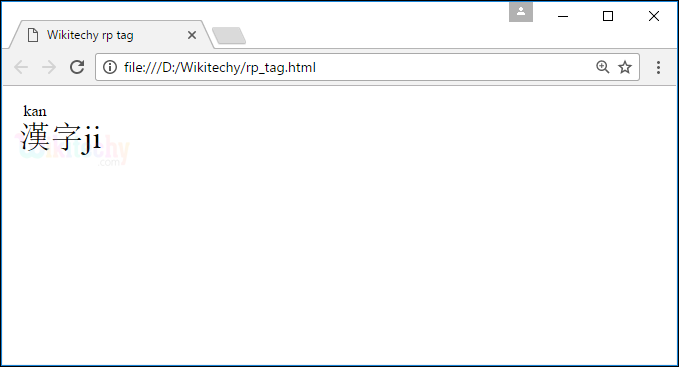 In HTML we can use the <rp> tag together with <ruby> and <rt> tag. <rp> tag supports Global Attributes and Event Attributes. HTML 4 does not support <rp> tag. <rp> tag is new in HTML5. <ruby> tag is used to specify ruby annotation. <rt> tag used to describe the pronunciation information for the word. <rp> tag used to define what to show for browsers that not support ruby annotations. The output shows the Ruby annotation.